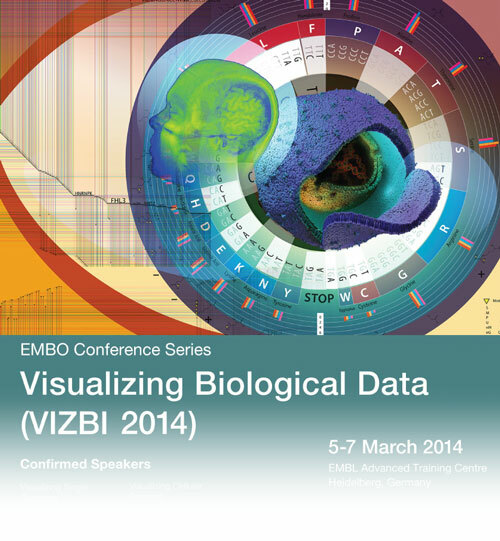 A quick reminder that the deadline for VIZBI 2014 registration is tomorrow, 31 January 2014 at 23:59 Pacific time (PST). For further information, go to http://vizbi.org/2014/Registration/. 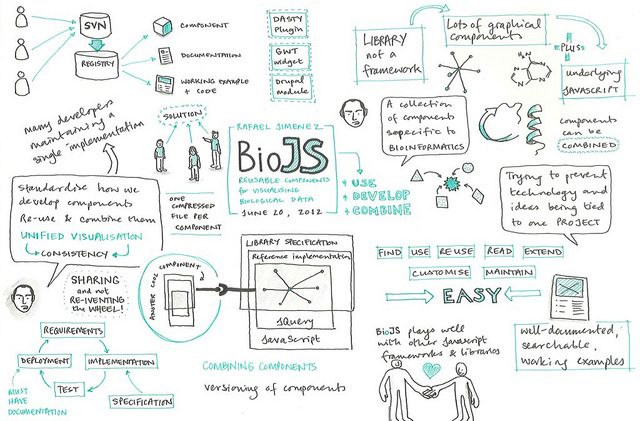 If you have not yet registered for a VIZBI tutorial, fear not! The registration deadline for tutorials has now been extended to February 15. There are 14 tutorials to choose from, details of which can be found in the posts below or on the VIZBI 2014 Program page. Please note this applies only to tutorials: the registration deadline from the VIZBI 2014 conference is still January 31. Some more exciting news: Autodesk have once again offered a free Maya license as a prize for the best Art & Biology poster at VIZBI 2014. 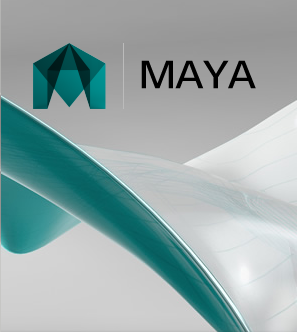 Normally retailing for $3,675, Maya is widely used for creating interactive 3D applications, video games, animated film, TV series, and visual effects. This very generous prize is offered to participants from academia and industry alike, but cannot be resold. Each conference participant can upload one artistically-inspired Art & Biology image with accompanying text. The deadline for entering is 23:59 PST on 15 February 2014. These images will first be revealed during a special event as part of the Art & Biology evening. The award for best Art & Biology submission will be decided by popular vote and announced at the Awards Ceremony during the VIZBI 2014 closing session. Participants are asked to choose their favourite Art & Biology submission based on how visually compelling and original it is; it may help to see Art & Biology submissions from previous VIZBI meetings. Further details on submission and upload are here. So, if you’re still waiting for another reason to register for VIZBI, here it is: submit an Art & Biology poster and win a Maya license! 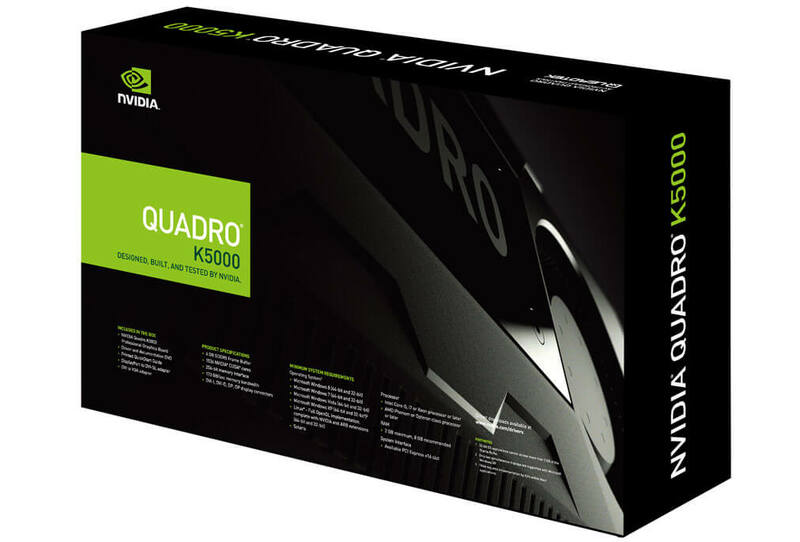 NVIDIA have confirmed they will again sponsor a fantastic prize for the best scientific poster at VIZBI 2014: their high-end Quadro K5000 professional video card, retailing for US$2,199. 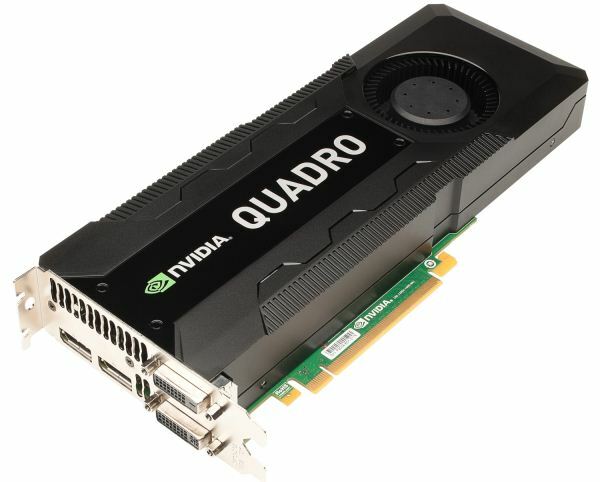 One of the world’s fastest GPUs, this card is designed for large-scale visualization of complex data; it supports up to four displays, has 1,536 CUDA Cores, 4GB of GDDR5 memory, a single-precision performance of 2.1 Teraflops, and the ability to render 1.8 billion triangles per second. Such performance allows real-time rendering of stunning photorealistic, interactive 3D scenes. The deadline for poster upload is 23:59 PST, February 15. In addition to scientific posters, each participant can also upload an artistically-inspired ‘Art & Biology’ poster (see here for more details). The award for best scientific poster will be decided by popular vote. 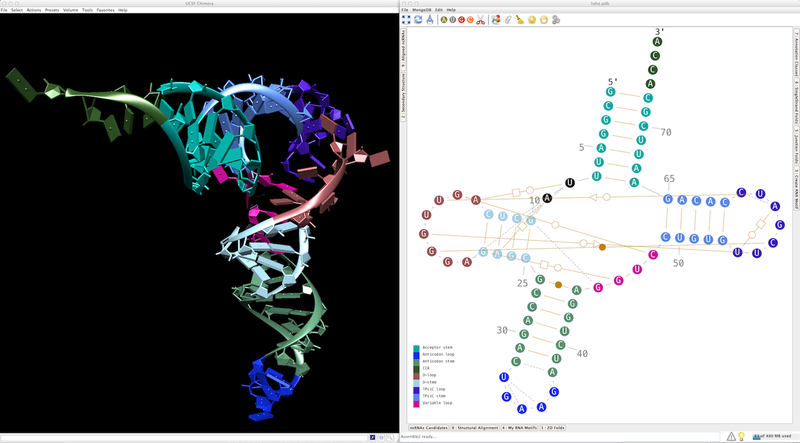 BioLayout Express3D is a powerful tool for the visualization and analysis of network graphs. Network-based approaches are becoming increasingly popular for the analysis of complex systems of interaction and high dimensional data. 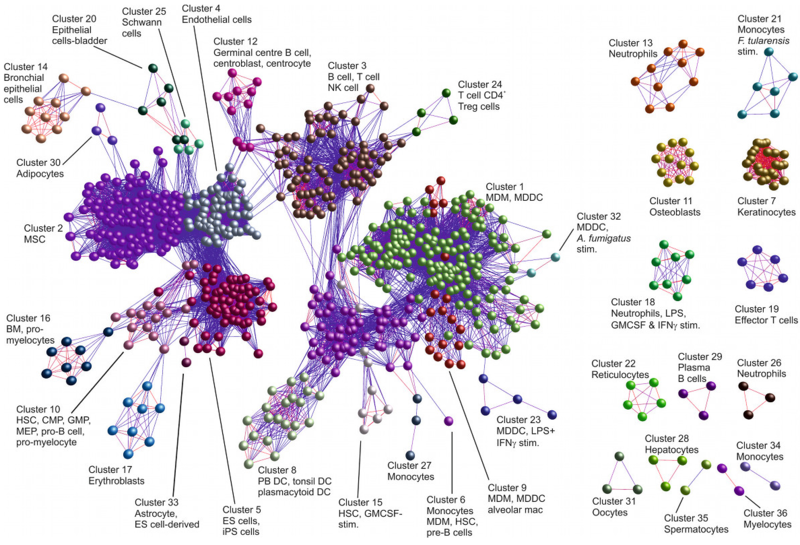 In biology, networks can be generated from interactions between individuals, disease transmission, sequence similarity, metabolic pathways, protein interactions, pathways, regulatory cascades, gene expression, etc. BioLayout Express3D has been specifically designed for visualisation, clustering, exploration and analysis of very large network graphs in 2- and 3-dimensional space derived primarily, but not exclusively, from biological data. This tutorial is designed to cover the basics of network visualisation and analysis using this tool with particular emphasis on the analysis of high dimensional data such as that generated by microarray analysis or RNA-seq analyses. If time is available we will also demonstrate the use of the tool in the context of pathway modelling. Participants will need to bring with them a laptop of any flavour (the program does not run on tablets) with the program and Java installed. To make the most use of the session it would be preferable to have at least a medium range graphics card e.g. AMD or Nvidia and a three-button mouse to allow to exploration of reasonable sized graphs in 3D space. If in doubt – run the webstart version on the website and if you have any issues or questions contact support@biolayout.org. As VIZBI 2014 draws nearer, we would like to remind you that the registrations will close on 31 January 2014. Registration is on a first-come, first-served basis; places are limited and can only be confirmed after payment is received. You can register for tutorials without registering for the main conference. If you are unable to attend the meeting in person, you can register for ‘Virtual Participation’, which allows access to a live web stream of high-quality video covering all scheduled talks during the main conference (does not cover tutorials). Understanding the biological functions of an RNA molecule is tightly linked to the comprehension of its folding abilities. The folding process for an RNA molecule is achieved through the establishment of secondary and tertiary structures. Both states are interconnected and made with complex biological objects that need adapted visualization tools for their interactive exploration. • Combine bioinformatics predictions and experimental data (structure probing, NGS reads,…) to quickly identify the best candidates for a secondary structure. • Identify the consensus secondary structure for a set a related/orthologous RNA molecules. • Annotate a solved tertiary structure into a secondary one that can be used as a 3D exploration guide. • Edit an RNA secondary structure interactively to fit your experimental data and/or hypothesis. • Derive a new tertiary structure from a solved one using an user-driven mutagenesis approach (deletion, insertion and/or substitution of single residues). • Use an RNA secondary structure to query a database of recurrent RNA 3D motifs extracted from solved structures. • Construct a 3D model from scratch for an entire RNA molecule or domain. 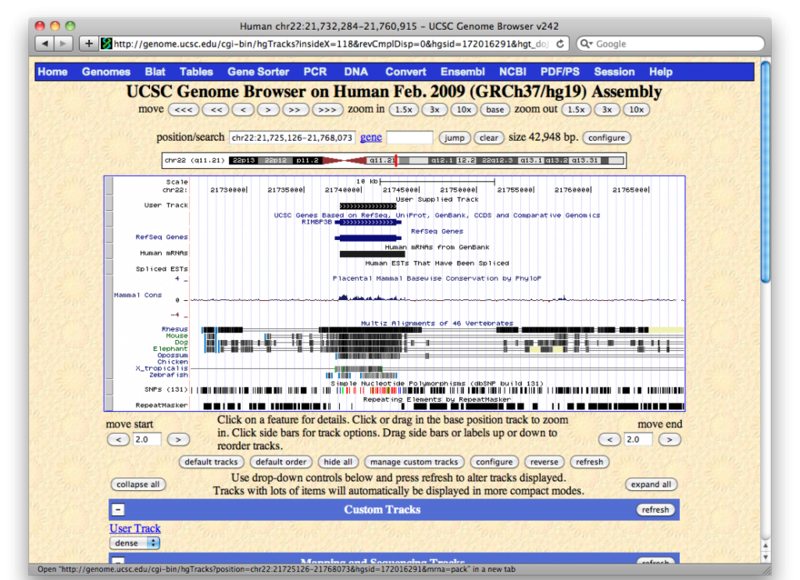 The UCSC Genome Browser integrates information from a wide variety of genomic resources, including gene predictions; disease associations, including HGMD, OMIM and locus-specific databases; gene-expression data; copy-number variation; comparative genomics; SNPs; HapMap data; gene-chip mappings; and histone- and DNA- modification data. The large number of genome-wide datasets available on the Browser allows users to pursue inquiries requiring multiple lines of evidence all in one location. By allowing users the flexibility to select only those data relevant to making a particular scientific argument, the Browser allows the pursuit of inquiry-driven data analysis by displaying all pertinent information in one graphical view. This workshop will introduce participants to functions of the Genome Browser often missed by casual users, especially new features. Navigation and Browser search strategies, Custom Tracks, and the Session tool for sharing the results of inquiries with colleagues will be presented, as will export of camera-ready .pdf files for publication. The Table Browser, a powerful tool for direct mining of the underlying data tables will be demonstrated. New functionality, including the user-hosting of new organisms and the analysis and display of user-generated variants will be demonstrated. Participants should bring laptops and be prepared to learn the Browser by solving biological data problems. The analysis of biological networks starts with the visualization of the networks. This can be seen as a form of an exploratory analysis. 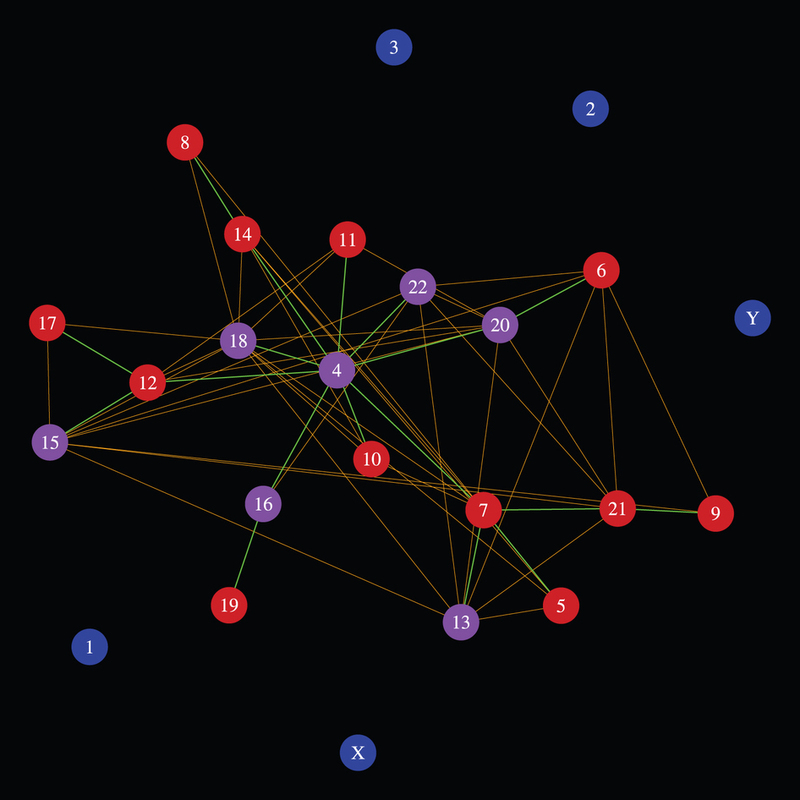 The main aim of an effective visualization is to highlight key structural properties of a network. Besides the connectivity of the nodes, there is a large variety of structural features of a network that can instead be exploited for an effective visualization. For example, modules, shortest paths or hierarchical levels. This is an introductory tutorial on several open source and freely available tools recently introduced, extended, or improved at Kitware. Among the tools we will cover are web-based adaptations of our widely used ParaView Tool (ParaViewWeb) for viewing big data, Computational Fluid Dynamics (CFD) simulations and volume rendering; new developments in chemical simulation and cheminformatics; recently released Informatics tools such as Visomics, new D3 based libraries, and geospatial visualizations for omics, medical informatics research, and web based visualizations; and open source medical imaging tools for viewing and analysing CT, MRI and microscope derived images. Attendees will gain introductory level knowledge of several key open source platforms developed at Kitware and will leave the session with the software installed on their computers. Attendees will also be introduced to the concept of open source and collaborative tools such as bug trackers, mailing lists, wikis, source code repositories and dashboards; and will know where they can be found for the tools discussed in the course. Further material is openly available on the web using Kitware provided tutorials, documentation, and communities. This tutorial will introduce the recent developments and techniques of 2D, 3D, 4D, and 5D microscopic image analysis and visualization, with a central theme of how to use Vaa3D, a powerful platform for various applications of bioimage informatics. We will discuss new and exciting challenges in 2D/3D/4D/5D biological and microscopic image computing, as well as large-scale and very large-scale (gigabyte-size to terabyte-size images) visualization and interaction, – with a focus on microscopy images but can be generally useful for other large biomedical images and surface object visualization problems. We are also going to give a relatively detailed tutorial (and demonstration) on how to use Vaa3D for quantitative analysis. 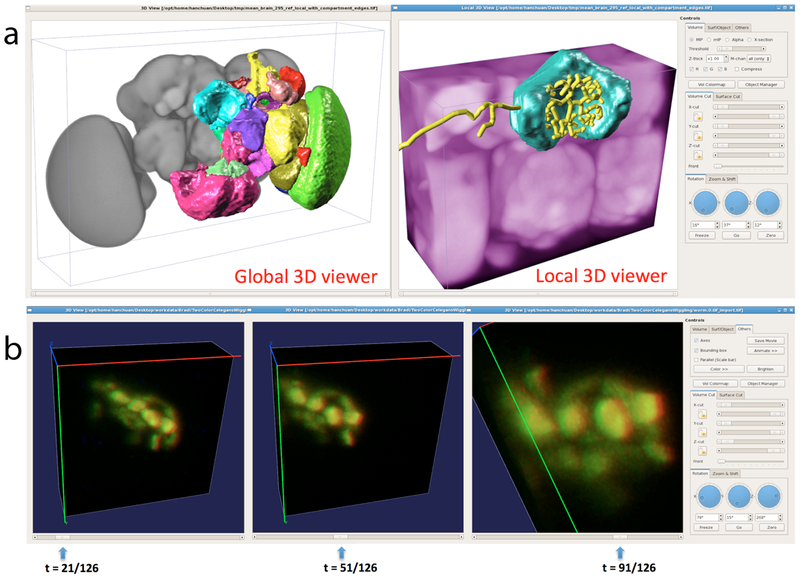 Vaa3D itself (Nature Technology, 2010; Nature Protocols, 2013) is an increasingly used platform for multi-dimensional microscopic image related studies. This suite of software is open source, cross-platform, and has been used in many recent high-profile studies. Join the tutorial for a hands-on, interactive half day experience to understand the key benefits of Vaa3D. Learn how to operate the software and streamline your analysis for complicated images. Learn how to write plugin programs within minutes and incorporate your favorite tools into Vaa3D. Gitools is a desktop application for analysis and visualization of multidimensional data using interactive heat-maps. 2. How to obtain the visualization that fits your needs. 4. How to integrate different data dimensions. 5. How to visualize column and row annotations. 6. How to perform analyses over the heat-map (e.g. sample level enrichment analysis, group comparison, correlations and others). 7. How to load predefined interactive heat-maps of interest for cancer research, including multidimensional data from The Cancer Genome Atlas, Cancer Cell Line Encyclopedia and IntOGen. 8. How to export heat-maps into a publication-ready figure. 9. 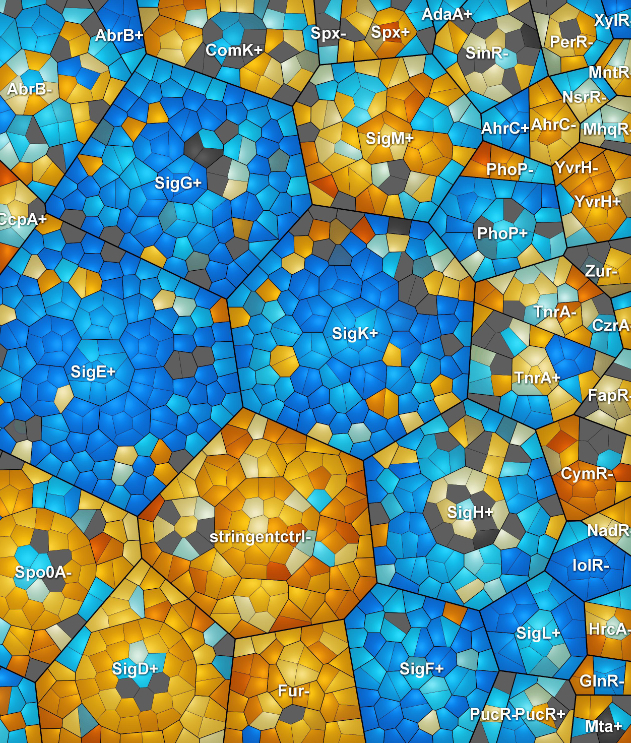 How to share your data in the form of interactive heat-maps. Sequence alignment visualization is widely applied. Interactive capabilities, hyper-links, balloon messages and the option to shield annotations and sequences become increasingly important in the ‘omics-era. Java brought interactivity to web pages and has been successfully used for the visualization of sequence alignments. However, the Java runtime-environment is an additional layer of software with an own set of technical problems and security risks. HTML in its new version 5 provides features that for many tasks render Java unnecessary. Each participant will use a protein family of their own choice to create decorated interactive multiple sequence alignments within an intuitive graphical user interface. Some participants may be interested in non-interactive automated alignment rendering for alignment visualization for web services. They can use the scripting language from the command line. The modeling of cells and its compounds is an important subject of biological visualization and simulation. The CELLmicrocosmos project develops open source tools and workflows which support students and scientists of various life science-related disciplines in generating the model needed for their specific task in a user-friendly way. The CELLmicrocosmos 2.2 MembraneEditor can be used to model membranes based on lipid and protein files in PDB format. It is possible to generate structural and compositional heterogeneous membrane patches as well as vesicles. 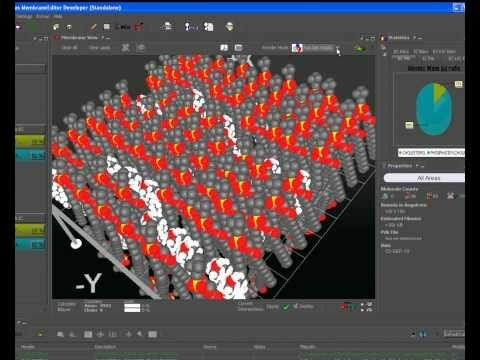 The created structures can be used for visualization purposes, structural analysis or as a base for molecular simulations. All software packages utilized during this workshop are freely available and will be put to practical use. The documentation as well as the software is available at http://Cm2.CELLmicrocosmos.org. Participants should bring their own laptop. No previous experience with modeling tools is required. Please install Blender before the workshop starts. All participants who want to do experiments with the GMX-Plugin should install GROMACS on their Linux system. In the different field of ‘omics technologies or metaanalyses of biocommunities large sets of abundance or change data on taxonomic or gene expression level have to be explored. Due to the complexity of these data new visualizaton tools have been developed linking experimental data with already available knowledge from gene functional classificatons, taxonomy or metabolic and regulatory networks. In our tutorial participants will learn to visualize and explore hierarchically or quasi-hierarchically organized data. Metabolic modules, similarly regulated gene clusters, gene functional classes will be extracted and visualized in Voronoi- and swarm-based treemaps, path treemaps or stream graph views, respectively. For this purpose the Paver package will be used. 1. The basics of using the Paver application. 2. How to integrate and visualize metabolic data, gene functional classification data and other hierarchically structured data sets in a space saving and aesthetically appealing way. 3. How different visual channels (cell size, color gradients, color saturation, containment and others) support data visualization and how this is implemented in Paver. 4. How brilliant interactive as well as static artwork can be made from expression data tables that helps you with an immediate and intuitive interpretation of your data. We will give you the essential elements to construct and visualize powerful integrative functional genomics analyses. The tutorial includes both lectures and hands-on exercises, so bring a laptop with a spreadsheet application and a text editor such as notepad++ or similar. We will provide you with a two month Paver licence, and give you some insights into other available software. Amira is an advanced general-purpose visualization and 3D reconstruction software for the life sciences. 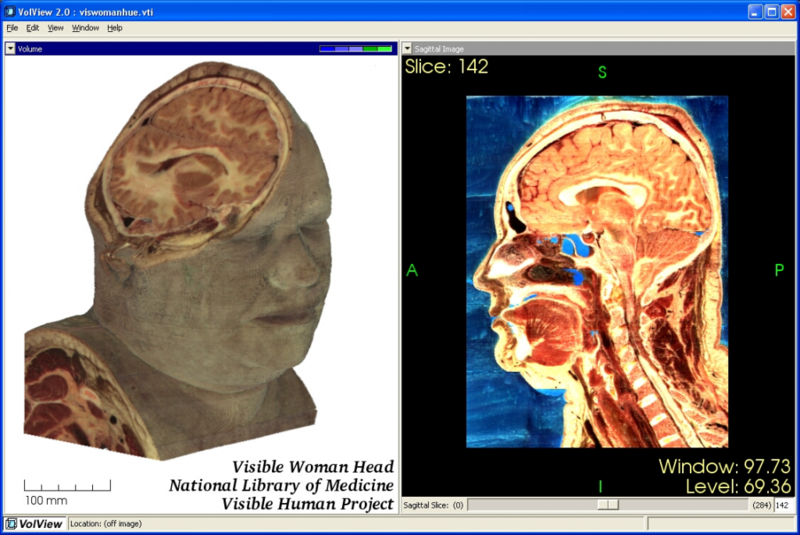 Notably, it displays 3D image data and has a number of versatile editors. For example, it has a powerful segmentation editor that can be used to segment data sets and surface reconstruct the result to produce 3D representations. 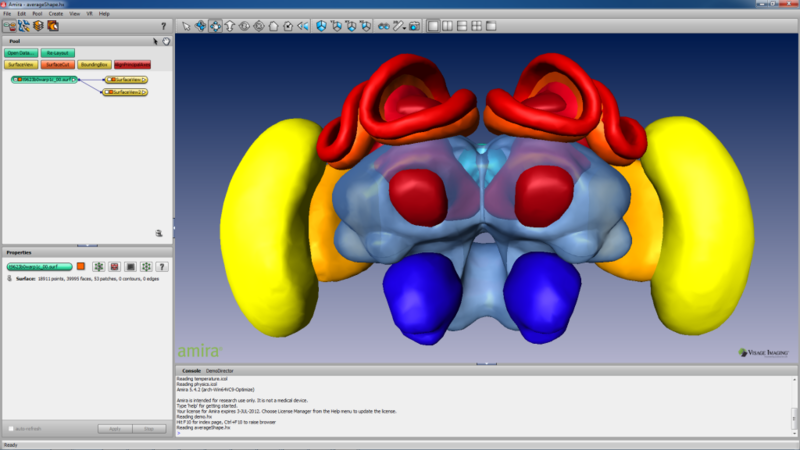 Amira can import a wide variety of image formats, visualize images in various ways, provide tools for segmentation, analysis and measurement, allow scripting and integration with MATLAB and then export the results in a variety of formats. • Part A will introduce a newcomer to Amira by explaining its interface, how to load and visualise data, resample and crop data, volume and surface render 3D data sets, and make movies. • Part B will then consider some of the advanced features available such as applying various editors in image transformation, warping and quantification. In the workshop, hand-outs will be provided to compliment the information displayed on an overhead projector. The session will involve students using Amira on their own laptops (trial licenses will be available). This hands-on tutorial will provide the participants with the tools to interpret macromolecular complexes and produce meaningful images and movies of the complex of interest using the software UCSF Chimera. You will be guided step by step trough the different aspects of this application from the loading of the molecules to the production of a movie in a way that will be understandable for total beginners and enjoyable for users with some experience. The course is intended for 10-20 participants and designed to be interactive, so any specific question proposed by the participant will be warmly welcome and some time will be dedicated to address specific issues. • Loading of an EM map and basic manipulation of a structure (select atom/sequence/change size of the atoms etc.). • Fitting a pdb structure in an electron density map, align pdbs. • Transparency and color, how to use them to underline the biological significance. • How to get a nice movie/ How to get your movie played everywhere (animated gif). • Few command-line tips to make of you an “expert user”. • Topic selected on the basis of students feedback. The participants should bring your own laptops and have the latest stable release of Chimera and ImageJ installed prior to the tutorial. Handouts will be provided. This interactive workshop will introduce methods for evaluating and critiquing visualisation tools and software in a practical, straightforward way. Using a mixture of teaching and hands-on activities, you will learn about heuristic analysis, critique, usability testing and emotional response assessment. The skills you gain will help you make a difference to the user experience of the tools you work on, at the same time being able to evaluate alternatives and competitors. In this workshop, Francis Rowland, together with several members of the Heidelberg Unseminars in Bioinformatics (HUB) group, will introduce some of the concepts and practices that he applies in his work as a UX designer at the EMBL-European Bioinformatics Institute. 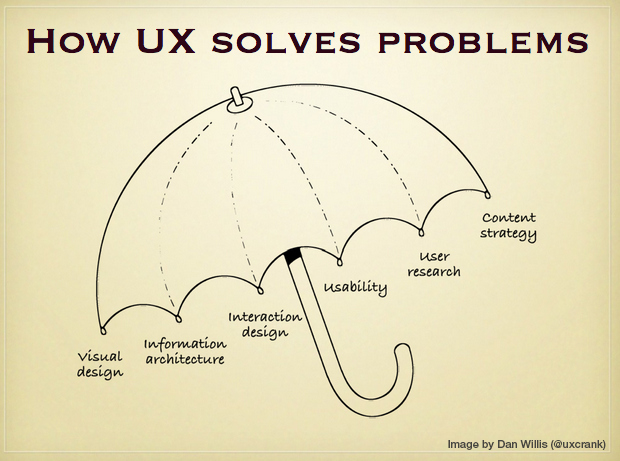 This session aims to complement the session on UX design delivered by Francis at VIZBI 2013. That tutorial focused on user research, developing design empathy, and understanding the audience and this year, we’ll look at evaluating the tools you might have gone on to create for that audience. The final keynote of the VIZBI 2014 meeting on the Usability and Computer Interfaces will be given by Sheelagh Carpendale. Sheelagh Carpendale is a professor in the Department of Computer Science at the University of Calgary where she holds the Canada Research Chair in Information Visualization and heads the InnoVis (Innovations in Visualization) laboratory. She uses her combined background in visual arts and computer science to enable the design of accessible visual representations of data. Her research interests include information visualization, user interface design, human-computer multi-touch tabletop interaction, visual languages and graph layout. 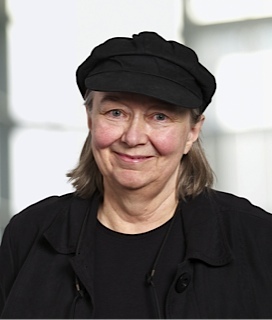 She has received several major awards in the recognition of her contribution to information visualization including the Canada Foundation for Innovation Award, E. W. R. Steacie Memorial Fellowship from the Natural Sciences and Engineering Research Council of Canada and a BAFTA for Off-Line Learning among others.